Because landbots don't leave by emails alone, learn how to ask regular text or number questions to your visitors! 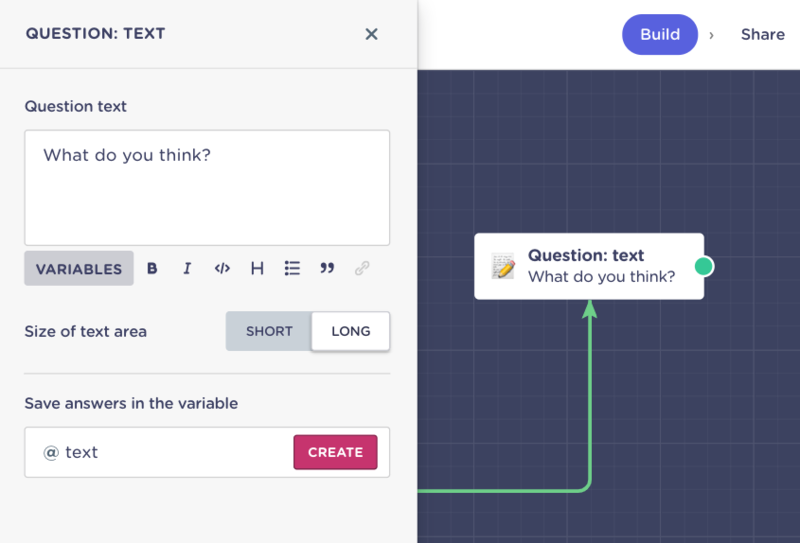 First, drag and drop the green dot and type in "Text" to create this type of question. You can also select whether you want the text area to be short or long by clicking on the toggle. The size of the text area suggest how much information you demand from your visitors, so use it wisely to avoid monosyllable-based convos! Number question: learn how to ask for numbers and customize their range and format! 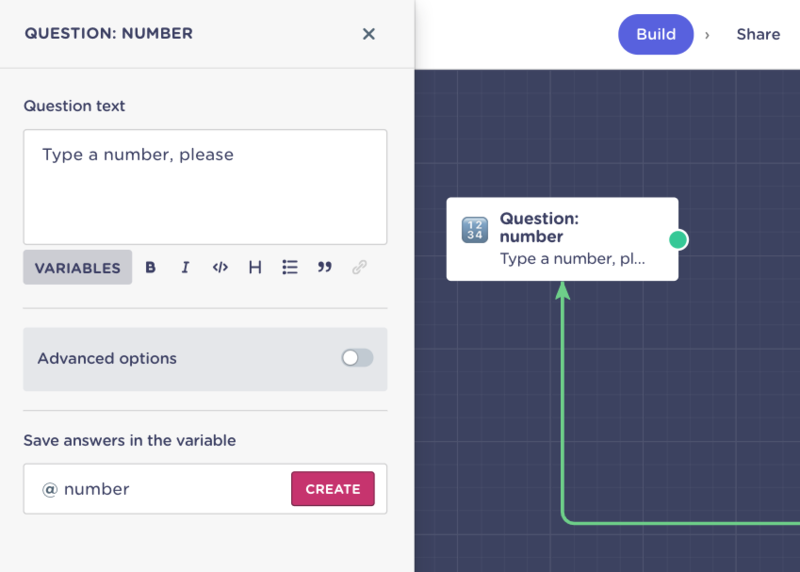 First, drag and drop the green dot and type in "Number" to create this type of question. With format you can decide whether you want to capture whole numbers or fractions. 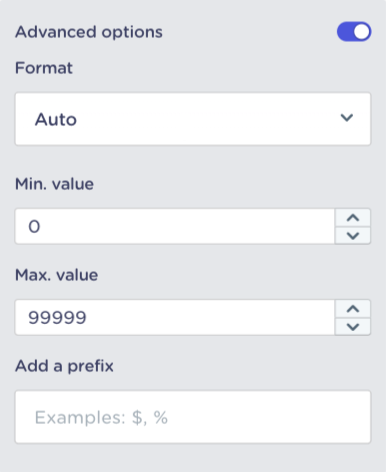 Auto will adapt the format depending on the user's input. Finally, add a prefix so your visitors have more info on what are they exactly replying to (e.g. €, lb, etc.). Users won't be able to enter any other character except for numbers, so keep that in mind!